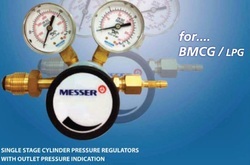 We offer cylinder moounted type regulators for Carnon-di-oxide (CO2) gas with the following specifications. Suitable for CO2/MIG MAG Welding. WE are a leading exporter of all type Co2 , Oxyzen, Nytrozen, Argon, LPG, DA, Monifold, High pressor Regulators ISO Certified in various range and high quallity standerds. 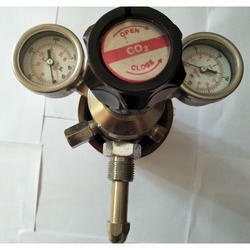 We are leuading manufacturer of Dual Gauge CO2 Regublator. - Free shipment on bulk purchase. - Discount pricing on volume purchase. We are offering Carbon Dioxide Regulator to our clients.